You want strong, lean muscles and a slim physique, but are you giving your body the tools it needs to achieve those goals? Fuel your muscles and support lean gains with Myotein. Myotein is the ultimate protein, providing your body with exactly the things it needs to optimize protein synthesis. Myotein works great as a meal replacement shake and can assist you in whatever fitness and physique goals you have. Myotein will not add empty calories and is formulated with only the highest quality ingredients to support faster recovery, boost fat loss, and more. This is the most complete protein powder on the market – it doesn’t just give your body protein, but also the parts your body needs to put the protein to use! There are many different kinds of protein, all with different rates of absorption. Myotein combines 5 different types of protein to provide a continuous stream of protein to feed your muscles with the premium nutrients they need. With Whey Protein Hydrolysate, Whey Protein Concentrate, Whey Protein Isolate, Micellar Casein, and Colostrum in the mix, Myotein will supply a steady stream of muscle building goodness. Stephen Bergeron. “How Much Protein?.” www.builtlean.com. Yves Boirie, Martial Dangin, Pierre Gachon, Marie-Paule Vasson, Jean-Louis Maubois, and Bernard Beaufrère “The Speed of Absorption of Protein and Its Effect.” www.pnas.org. Overall, Myotein is great, but there are a few things I don't like about it. Taste: The chocolate is one of the best tasting proteins I’ve had. The vanilla needs some work. It tastes a little too natural or earthy for me. Price: $55 is a little steep for 2.5 pounds of protein. Granted, it’s more than your typical protein powder, but I’m not always trying to get lean. When I’m trying to gain a lot of mass, I’ll use a different protein. I don’t know if you guys set the pricing, but it may be worth looking into dropping it $5-$10. eSupplements: I found your site through google shopping. You were the cheapest by about $2. When you add the free shipping, I saved about $7 total. Service wasn’t bad. I never had to talk with anyone. My order only took 3 days to arrive, which I was really happy about. I have tried a lot of protein powders, and this one is definitely my favorite! This definitely is a step above your average protein powder,. I feel different and it’s great. Not only is this a great protein powder, but it tastes amazing! This tastes good and mixes well. Mixing was a pet peeve for me with other protein powders. I mix it with either water or almond milk. Definitely recommend if you work out. one of the best protein powers Ive used, not to heavy on the stomach like some. Does this product contain rBGH, rBST or any GMOs? Myotein does not contain rBGH, rBST or any GMOs. Good solid protein powder with good solid taste. Myotein has a good mix of different types of protein as well as good supplementary muscle building ingredients. Myotein had a high percentage of protein 26 grams of protein per serving. It’s really tough to find a good vanilla flavored protein, but Myotein vanilla really tasted great. Mixed with strawberries tasted best for me. It was great for me as a meal replacement. I felt a lot more toned as well, giving my muscles the protein that it really needed. My only complaint is that lack of options in the size, no 5 lb option or 10 lb option. Both the vanilla and chocolate are the best tasting proteins I have ever tried, and I have tried a lot. 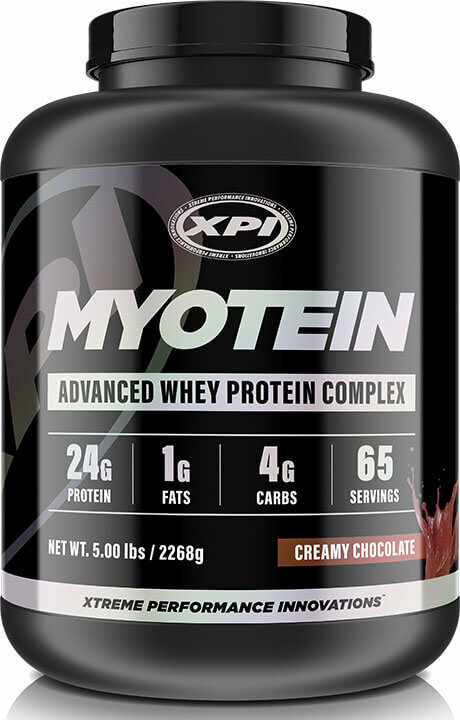 That’s just the icing on the cake, Myotein has the best blend of high quality proteins that I have ever seen. Love the taste, love the results. Good stuff. I really look for a protein powder that can I can stick with. I hate changing and I really wanted to get a good protein that tastes good and had the mix of ingredients that would benefit my muscle mass. Myotein really mixes well and tastes pretty good. I highly recommend mixing with almond milk for best taste. The best tasting chocolate protein powder I’ve had. Why don’t I see this product in GNC or Vitamin Shoppe. It’s the best protein I’ve ever used. Mixes well, tastes great and produced results for me! When is best time to take protein before or after workout??? The best time to take a protein supplement, like Myotein, is right after working out. Exercising causes the tearing and breaking down of your muscles. In order for your muscles to efficiently repair and rebuild, it is important that you take in protein. If you are packing on mass, eating a high protein diet is extremely beneficial and will help to keep you full as you go through the day. I’m pretty picky, but this has a great taste and awesome supplement facts. Great taste! Lost 3 pounds in the first week! Will buy again! If I’m using this product as 2 meal replacements per day (breakfast & lunch) can I drink a shake before the gym in the morning? According to the directions on the label, you can take 2-3 servings every day for maximum results. Since you’re already taking 2 servings each day a third serving as a shake before the gym in the morning would definitely not be a problem. Just make sure that you’re also providing your body with the other nutrients it needs to maintain good overall health. According to the instructions on the label, Myotein should not be used by anyone who is under the age of 18. The protein needed for an adolescent to meet their daily protein requirement will vary as the body develops. It is recommended that hard-training teenage athletes should not take more than 2-2.5 grams of protein of kg of their weight each day. Taking in much more protein than the adolescent body needs can be harmful. The first time I have ever ordered protein powder I read all kinds of reviews online to choose the right one and asked around to my gym friends, every one either said GNC or Musclepharm. I had an impulse buy on morning and purchased Myotein. Basically it had all the things that everyone said I would need regarding the ingredients. When I tried the protein powder I was very impressed how well it mixes well with water. I dont have to even shake it, just put it in a cup and stir. After a month or so of taking this, I did lose some weight – it was mainly inches off my body. I did workout about 3-4 days a week and ate a “fairly” well diet. When i was finished with the bottle I wanted more but the cost was killing me. Being that I had taken no other protein powder to compare, I assumed that I could find something cheaper that would be just as good. Tried GNC, Muscle Pharm and Twin Lab – and I started to gain weight so I kept switching products to try something new! So found this new website and they had the product cheaper. Honestly at this point I know the product works so to me, it is worth the cost. This time I ordered I received a free bottle of XPI Amino and hope to see results from that as well. I have been using this product for about a year now and after trying quite a number of others I have not found any that taste better than the choc. I also know that only high quality ingredients are used and I like that there is a blend of a number of types of protein. So far so good with Myotein vanilla flavor. As far as taste, ive had better but overall not bad. I have found it tastes the best with milk or almond milk. Results have been great. I have also noticed much more energy since taking it. I will definitely continue to use this great product. It’s probably the best tasting protein I’ve had yet!! I have been through all brands out there and always get chocolate flavor. Myotein is the best hands down ! I will stick with this one. 5 star product–great taste and quick results. Best protein I’ve tried yet. After trying other brands of protein shakes, I find Myotein superior to all of them. Great taste, powder mixes well, good results. The price is fair, considering the quality of the product and considering the availability of the 5 lb container at a savings. Switched from Muscle Milk to Myotein because I wanted a better protein powder. I have seen really good results since switching. Recovery time is really good and the taste is good. Mixes easy. I would recommend to anyone, especially those that want a quick recovery and good results. You are getting what you pay for! This is by far probably one of the best protein powders I’ve taken! I gave it 4 stars because of the price. I spent over 80 bucks for the 5 lb tub. I have lost some weight but maintained muscle mass. I’ve noticed I’m burning fat. I take it two to three times daily and I hate seeing my container get emptier and emptier ! Please lower the price so that everyone can buy your product ! I had taken gold standard the first few months back into the gym, but often felt hungry shortly after. I looked up the best protein powder for 2015 and myotein was at the top. I had never heard of it before so I opted to go with the 2lb tub just to try it out, and I enjoyed the taste, the full feeling if I was running behind on my meals. I was at the gym for 7 months dropping weight and have gotten to a level I feel I’m comfortable at. I now begin my road to leaning and toning up. Shooting for next summer and taking myotein with me! This is by far the BEST tasting protein I have ever purchased (chocolate flavor) and I love how there are no artificial sweeteners, its quality whey protein (over 20grams in a single serving) and its no too high in calories! Works great! Bought it for my hsuband an it builds muscle fast and speeds recovery! Noticed a major difference in just 3 weeks! One of the best tasting proteins I have ever had. Mixes well and the macros are amazing!! Try it out! Tastes really good with milk and actually works well. I used Myotein and ON Whey Gold and Myotein is the better product , it also mixes and tastes better. I highly recommend Myotein for better results. A great tasting protein powder that really speeds recovery. I always feel better and recover faster when I use it. I lose my weight 6 pounds so far. It has been a week only. I love this protein. I like the taste and the consistency of the protein when I make “protein pudding” with it. Protein pudding being just a scoop of protein and a small amount of water. It’s great! 5 star from me. I am an inline marathon skater and with hundreds of miles behind me, this protein keeps my muscles in tact in my training. I have used this for years everyday and will not even consider another brand. Chocolate is a really good flavor. the vanilla must taste even better, because it’s never in stock in the 5lb tub. I have seen results in only a few weeks of using the product. Definitely recommend it. Obviously it’s ridiculously expensive, but esupplements has it for the absolute cheapest available online And I have to say, it’s definitely worth the price compared to any other protein powder. This is by far the best powder available anywhere in every way.. Product works well. eupplements is the problem. Horrible shipping and nonexistent customer service. I’m still waiting for a reply to my two emails I sent regarding shipment. XPI is a great product, it’s a little expensive but the results are great and the flavor is amazing. Both my wife and I enjoy this product. Actually, this is the only protein supplement that my wife can drink. Everything else is too chalky for her. So this is a bonus. The flavor is really good, and overall the product meets our needs. This protein is the best I have ever taken, it doesn’t make you bloated and it really helps with muscle recovery as well as strength. HAS A GREAT TASTE BUT MORE IMPORTANTLY IS PACKED WITH THE BEST PROTEIN ON THE MARKET! Don’t waste your time looking for the best blend. By far, this does wonders if used correctly. Great taste. Throw it in a blender for 30 secs, it’s like drinking a milk shake. Very happy. Ordering my 3rd bottle from esupps very soon. I love this protein. It is very light in flavor, which make it great to mix with other ingredients. It does not give you that bloated sensation. Not see at all. Just right. Price is a little high and wish they offered more size options. Best product I have found! The taste is great (chocolate) and it desoves great. This product works great and doesn’t have all the extra junk a lot of other brands put in theirs. As a meal replacement for breakfast, it tastes good and I don’t fell hungry until well after lunch time. After looking for best in the market this was what I found.My son plays High school football he loves the taste and I swear he gets bigger and stronger daily….I am very happy with results. Does Myotein contain any prohibited substances that are considered as doping? Can athletes use it without being afraid to get disqualified after a control? Myotein does not contain any prohibited substances. In fact, Myotein is a great protein powder for athletes to use to quicken recovery and build lean muscle mass. What is the difference of Myotein and Myotein Isolate? Myotein contains a premium protein blend which contains Whey Protein Isolate, Whey Protein Concentrate, Micellar Casein, Whey Protein Hydrolysate, L-Glutamine, and Colostrum. Myotein’s combination of fast- and slow-digesting proteins, glutamine, and colostrum are designed to provide optimal muscle building. 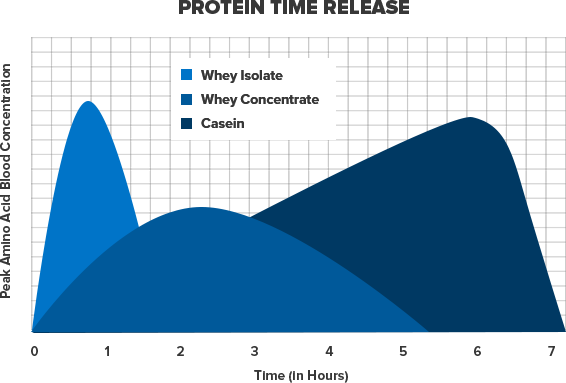 Myotein Isolate uses only Whey Protein Isolate which is perfect for those who are lactose intolerant as it has little to no fat, lactose, or other carbs. This allows Myotein Isolate to be a low calorie, high protein, carb-free muscle building protein powder. 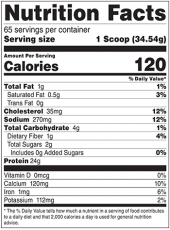 One serving of Myotein is 1 scoop which is 36 grams. Converted to milligrams, 1 scoop is 36,000mg. I have only had the chocolate, it is very good tasting and mixes well. bought the 5 lb and saved some cash. Myotein will be my go to protein from now on. Does it contain soy? I’m allergic. According to the ingredients listed on the label, Myotein does not contain any soy. I’m only about half way through it. The vanilla is pretty creamy. It almost tastes like I mixed it with milk instead of water. I’ll probably try the chocolate next even though I’m more of a vanilla gal. Does it have aspratame or any artifcial sweeteners in it.? According to the supplement facts, Myotein does not contain aspartame. However, it does contain sucralose which is a no-calorie artificial sweetener. This is hands down the best whey protein I have ever tried. The powder mixes easily and the Vanilla floor is delicious. I have tried many other protein products but none compares to the results I get from Myotein. Esupplements has the best prices and customer service as well. Nope, there have not been any negative side effects reported from the use of VitaRipped and Myotein as one is a multivitamin made for men and the other is a protein powder. What necessarily is the myotein natural that comes with the purchase of Myotein? Myotein Natural is a high-protein meal replacement powder that can be used to supplement exercise for muscle gain or for weight loss. It contains a protein blend as well as a vitamin & mineral complex that use natural ingredients. Currently, we do not carry products that contain the ingredient – glutathione. The use of creatine along with myotein may be able to increase muscle mass and improve muscle recovery. However, it is highly recommended that you speak with you physician about the use of creatine and protein powder on your body before consumption. First thing that caught my attention is that the safety seal under the cap looked to be reglued onto the container. I had to pry the lid off with a screwdriver because of the extra glue down the threads. Very strange. No plastic wrap over the lid like the smaller containers in this brand line too. Then no scoop inside the container which seemed weird. Like it was tampered with and then resealed and sold. Despite my better judgement I started using it anyway. 🙂 The protein seems good and seems to benefit me more than others. I like that there is no cholesterol which is rare but important to me since I have to watch that. I got the vanilla and there is zero flavor. Its more like earth or vegan proteins I’ve tried. Much work needed on the vanilla flavor. I’ll try chocolate next time. Maybe a little spendy but seems to produce results which is most important. I’ll tray another container when I’m done with this one. Too early to tell if I’m going to get the best results long term but this shtuff mixes and dissolves so wonderfully, and the vanilla flavor is smooth with no after taste!! what exactly is the ingredient forslean? ForsLean is simply a patented, standardized extract from Coleus forskohlii roots. This is a great product, it does not over promise and under deliver nor does it sell itself short. This product is on the money 100%. Great taste with results. Some people will want to supplement a meal, lose fat or become a little more lean. This product will help you achieve what you want to achieve as an individual. I prefer the Vanilla over the chocolate, however either is good. I look forward to taking this product everyday. putting on some solid muscle!! Very inexpensive for the HIGH quality!…Thanks!! Taste great and doesn’t leave you with that bloated feeling. Mixes really well! I would highly recommend this protein. Excellent protein. Great taste and fast dissolve. The vanilla is my favorite. This an energizing protein and helps to overcome soreness after a hard workout in the gym. Siempre que comienzo mis retos de entrenamiento Myotein es el ingrediente principal si de proteína se trata yo lo consumo dos veces al día y los resultados son más que sorprendentes. Good value and it taste great. I ordered Chocolate flavor and I really like it. Its Great. I will definitely order again. excellent product and taste too! This is my first use of this protien. It tastes better than most i have used. Looking forward to positive results and purchasing more product. This is the 1st time trying whey protein. But, I’ve used XPI before & the brand is awesome. I wouldn’t use another whey protein honestly. It gives me the energy I need to get me through my workout & I’ve seen impressive muscle gain in a short time. Definitely worth it! Great protein powder, and it tastes great, use post workout has some of the best blend of high quality proteins to give your muscles that needed boost post workout. eSupplements has the best price free shipping love eSupplements. Great taste, it’s like having a chocolate milkshake without the guilt! Since ordering Myotein I have been impressed with the quality of the protein and the taste. The protein completely dissolves unlike other proteins I’ve tried and the taste is excellent!!! This protein tastes great and mixes well! Highly Recommend!!! Myotein protein is an awesome clean protein that works amazing and tastes great !! Love the taste, quick dissolving and even have co-workers using it… 5 stars all the way! Great tasting with great results! Excellent protein. Gives you that extra stamina during and after a hard workout. Easy to mix and easy on the stomach. The strawberry is amazing, and the low fat really helps with not gaining to much of a stomach. 4/5 simply because the scoops are so big. I’m pretty picky but I really like the French vanilla and mixes well. I’ve been using Myotein for 2 ywars now. I have strayed a couple of times to try what i thought might be better only to discover i needed to go back to Myotein. To me in terms of taste, quality, and what it does for me, I prefer this over all others. I dont mind paying more since the product is superior. I love all the protein sources and plus i feel it helps burn body fat. Niw my husband takes it and sees the difference. Try it. You’ll be convinced. Honestly I bought this product bc I’ve loved the other flavors of myotein and since this one was cheaper thought I’d give it a try. I’m not a huge caramel fan but like the other flavors of myotein I have not been disappointed. Great flavor, high protein, low sugar, not much more I could ask for from my protein source! Great new flavor same great results. Best protein on the market. Great blend of proteins. Ordered the Salted Carmel and cant wait to try.Product is pricey but I usually order lots when on sale. Does this protein contain any soy? We’ve added another label image that contains the ingredient list. Thanks for the question. Our son’s 15 and works out quite rigorously should would myotein work perfectly fine for him correct? The label for this product contains a warning that it has been formulated only for individuals 18 years of age and older. Myotein is a top of the line protein powder made to add lean mass and burn body fat. Mix 1 level scoop of Myotein with 8-12oz of water or skim milk. Stir for 30 seconds. Use 2-3 times per day. Myotein is only meant for healthy adults ages 18 and older. Do not use if you’re pregnant or nursing.Consult your doctor before taking dietary supplements if you have preexisting medical conditions. L-Glutamine – This form of protein is gaining momentum in the workout world, being well known for its crucial role in aiding muscle recovery. L-Glutamine helps prevent the collapse of muscles after stress or intense use. By promoting the production of nitrogen in the body, L-Glutamine helps stabilize the muscles and aids in muscle development. Colostrum – Colostrum is a milky-substance that is produced by mammals in the first few days after giving birth. Colostrum is a rich source of protein, carbohydrates, fats and vitamins, and is filled with antibodies to fight against disease. Colostrum has been shown to help burn fat, increase endurance and athletic performance, and support strong, lean muscle gains. Aminogen® – This enzyme occurs naturally in various plants. The Aminogen Enzyme helps break down the links of chains of amino acids in a natural manner. This means that the body is better able to absorb proteins faster, thus getting your body the sustenance it needs to keep going during an intense workout session. 20-Hydroxyecdysone – By being able to deliver anabolic growth agents to the muscles, this naturally occurring hormone helps to enhance athletic performance and improve lean muscle mass by increasing the retention of nitrogen and stimulating protein synthesis. Micellar Casein – Micellar Casein digests slowly, which allows it to supply muscles with a steady stream of essential amino acids and other nutrients that support and promote growth. Micellar Casein helps reduce muscle breakdown and speeds up muscle recovery time. Whey Protein Hydrolysate – Whey Protein Hydrolysate is pre-digested, meaning it is protein that has been broken down into smaller peptides so that it is more easily absorbed by the body. This makes Whey Protein Hydrolysate a fast-acting source of nutrition that can quickly begin repairing damaged muscle tissue. Whey Protein Concentrate – Whey Protein Concentrate is one of the most popular forms of whey, containing as much as 90% protein by weight. Whey Protein Concentrate is important for muscle recovery and repair, as well as growth of strong and lean muscle gains. Whey Protein Concentrate will support and protect muscle during intense trainings and aid in a lean overall body composition. Whey Protein Isolate – Whey Protein Isolate is one of the purest forms of whey protein available. It is filtered to remove the lactose, which makes it easily digested and absorbed by the body. When used after intense training, Whey Protein Isolate helps decrease recovery time and increase muscle growth. Q. How is Myotein different from other protein powders? A. Myotein sets itself apart from the competition by including only the highest quality proteins available. Myotein is based on protein isolate and hydrolysate and has no fillers or useless ingredients. Q. Do I need to diet and exercise to get results with Myotein? A. Myotein will give your body the tools it needs to better-build muscle regardless of diet and exercise. However, in order to get the best possible results, a healthy diet and exercise program are highly recommended. Q. How long does each bottle of Myotein last? A. Each bottle of Myotein contains 30 servings so one bottle should last you about 30 days. Q. Does Myotein have any side effects? A. No! Myotein doesn’t use any harsh stimulants or chemicals. Myotein uses all safe and natural ingredients and is completely safe for consumption. Q. What is the Correct Serving Size of Myotein? A. Mix 2 scoops of Myotein with 8-12 ounces of water for 30 seconds. For a richer, creamier taste mix Myotein with low-fat or non-fat milk. Q. How Many Grams of Protein are in Each Serving of Myotein? A. 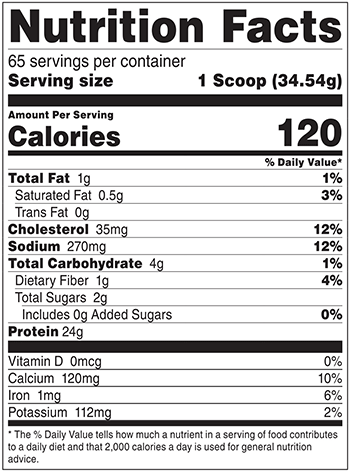 There are 24 grams of protein in every single scoop serving of Myotein. Q. Who Can Take Myotein? A. Myotein is a great protein supplement for any adult who wants to build more lean muscle, trim excess fat, and increase athletic performance. Do not use if you are pregnant or nursing.